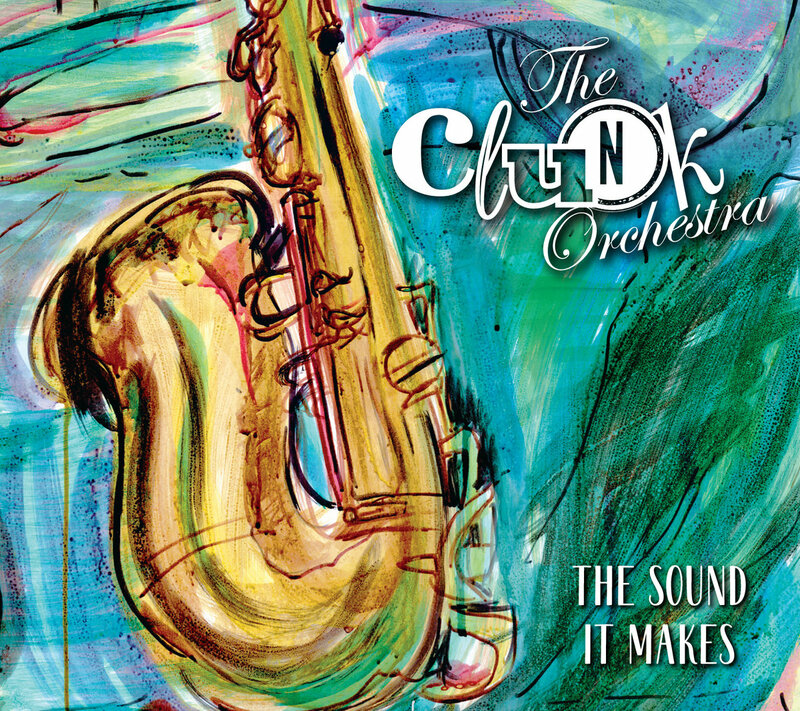 The Melbourne Australia based outfit The Clunk Orchestra release their debut, The Sound It Makes, a confident collection of instrumental tunes that swirl around the jazz rock genre. The "orchestra" is actually a quartet on this release as the players (Ron Anderson tenor, alto, soprano saxophone, Geoff Spooner, guitar Ben Harmsen bass, Marek Podstawek drums and percussion) who lock in and ride around the sound. The opener "Painting Music" captures their spirit as it showcases horn work while maintaining a fairly straight ahead rock progression while "Andrea Dorian" is led by the deep bass line and augmented by ripe electric guitar solo. "Chunnel" finds the group getting their funkiest with some chicken scratch guitar work and saxophones coloring the proceedings with grace. "Nearly Red" is the longest effort here and moves easily between dictated passages but never really takes off, while "The Thang" proves better with it's polished groove and wah-wah guitar work. "Cielocha" is the most interesting track as the rhythm section (especially the percussion) is pulling in a off beat funk way while the horns and guitar are moving ahead with smooth jazz styling. This push and pull make for an engaging listen, with immersion in the off beat only a few riffs away if they were to go for it. "Never a Dull Moment" closes things with confidence, a glossy sheen covers things with just a touch of muscle and menace lurking beneath the surface. At times The Clunk Orchestra's tunes can fade into background music and perhaps with another component (vocalist? piano/keys?) to spruce things up there could be new vistas visited, but on the whole The Sound it Makes is a pleasant, smooth ride.